The race for Hymnodia, the entertaining reality show created around hymns and worship, gathered more momentum over the weekend as 26 hymntestants (contestants)were selected in the Judges list following two days of grueling auditions in Ikeja Lagos. The selected Hymntestants emerged from a pool of over 200candidates who were shortlisted for auditions out of more than 1,500 that applied for the novel program. The hymntestants thrilled the judges and audience with renditions of classical and contemporary hymns, which brought excitement to the fun filled and interestingly transparent two-stage process. The two-day audition started on Saturday, January 26, 2019 at the Lagos Television (LTV 8), and was conducted by a panel of judges with experience in the art of hymn rendition, song writing and teaching. They include Dupe Ige Kachi, popularly known as Ige Sings, singer, songwriter and voice coach; and Seun Owoaje, pianist, composer and music lecturer. Others were Sunday Olawuwo, music director of Archbishop Vining Memorial Church Cathedral, Ikeja, Lagosand Benneth Ogbewi, event consultant. The judges acknowledged the depth of talent among the hymntestants that can be nurtured at the Hymnstitute. 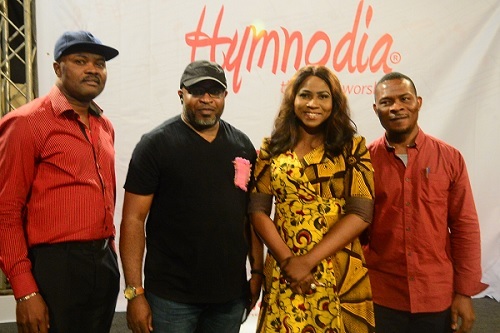 According to Ige Sings, Hymnodia is timely and shows that the hymn culture could be reignited in Nigeria “l know Hymnodia will help them improve faster,” she stated. Olawuwo affirmed that “Hymnodia is different from whatever has happened in the country. Kufre Ekanem, Managing Director of Philosoville Limited, the initiator, assured that Hymnodia, would be an annual project to redefine the perception on hymns and the almost forgotten value of its creation, writing and singing. He said the ultimate winner would be rewarded with the ASAPH, a specially designed trophy, a brand-new car and cash prize of N5 million at the grand finale of the show on April 21, 2019. The panel of judges at the Hymnodia audition has attested to the depth of creative talents in Nigeria as indicated by the 26 selected hymntestants (contestants) who made the Judges List for the entertaining reality show created around hymns. 14 hymntestants will ultimately make it into the programme which will give them the opportunity to be nurtured at the Hymnstitute. The judges at the audition held from January 26-27 at Lagos TV (LTV8) included Dupe Ige Kachi, popularly known as Ige Sings, singer, songwriter and voice coach; and Seun Owoaje, pianist, composer and music lecturer. Others were Sunday Olawuwo, music director of Archbishop Vining Memorial Church Cathedral, Ikeja, Lagos and Benneth Ogbewi, event consultant. Kachi said she spotted talents that were eager to be nurtured. “I have heard voices that do classical and contemporary rendition of hymns, and it would be fun to see how these voices come together to play out in the Hymnstitute,” she recalled. Olawuwo affirmed “There are lots of young people who have come to showcase their talent and l know Hymnodia will help them improve faster. Those that will be selected will take the culture of hymns to the society,” he affirmed. Owoaje commended the initiator of Hymnodia and said it brings the importance of hymns rendition to the forefront. “I see potentials in the contestants and l commend the initiator for taking the bull by the horn to nurture talents,” Owoaje said. After the audition, Kufre Ekanem, Managing Director of Philosoville, initiator of Hymnodia, assured that the audiences would be entertained with the flow of creativity of choir performances during the 13 weeks of fun which the initiative would run through. He said that the winner would be announced at the grand finale of the show on April 21, 2019 and would clinch the prizes which include ASAPH, a specially designed trophy, a brand-new car and N5 million. 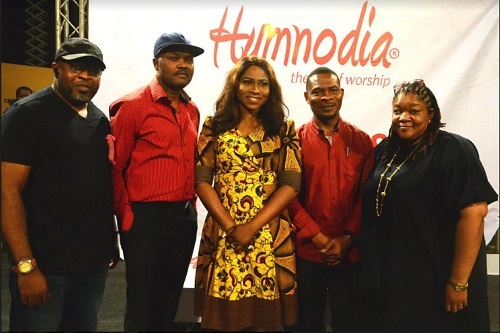 Hymnodia, which will be an annual event, was flagged-off in grand style by a team of 30-member choir at the Ikeja City Mall in Lagos in December 2018, where shoppers, traders and visitors were thrilled with beautiful hymns rendition. Agidingbi, Ikeja, Lagos, on Saturday, January 26, 2019.
held at the Lagos Television (LTV 8), Agidingbi, Ikeja, Lagos, on Saturday, January 26, 2019.